UsedBooths.com provides all the services you need for rebranding any used booth you choose to promote your company. Don’t worry about shipping. We can take care of all the transportation and delivery details for you. We’ve seen it all! UsedBooths.com has been helping exhibitors for over 25 years. Let us help you with your trade show questions. Call 800-354-2111. 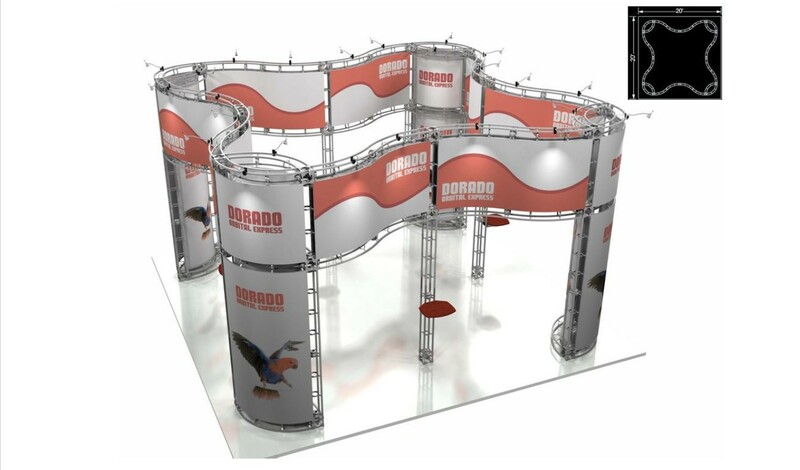 We have experienced professionals in place and ready to install and dismantle your used exhibit at your next trade show. Looking to sell a good condition 20X20 island trade show booth that we purchased about 4 years ago. It is a truss system with fabric graphics that can easily be reprinted. 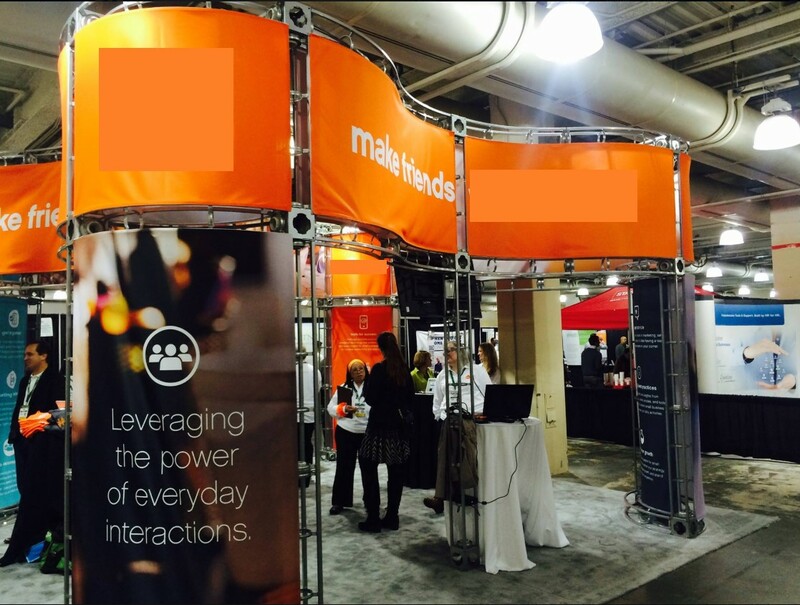 It is a beautiful booth that makes a big impact. It's also simple to set up with no tools needed. We've just decided not to exhibit at large shows anymore,which is why we're selling it. Originally paid $27K with graphics.